Israelis vote on Tuesday in elections for the Knesset. 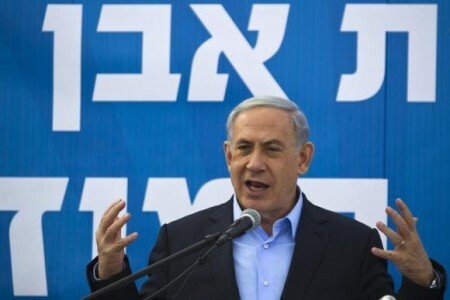 Polls indicate a close race between the leading parties, including the Likud of Benjamin Netanyahu and the Zionist Union bloc of Isaac Herzog (Labor) and Tzipi Livni (Hatnua), and uncertainty over the shape of the next coalition Government. Writing for The Conversation, Yoav Galai of the University of St. Andrews explained how Netanyahu may have unwittingly resurrected the Israeli Left, written off as a political force only months ago. In a last-minute bid to bolster support before Israel votes in a general election the Prime Minister, Benjamin Netanyahu, has categorically stated that while he is in power, there will be no Palestinian state. That is a major climbdown from his previous position, but it may be too little, too late. After all, Netanyahu is already struggling to survive the election – a task made more difficult in part by laws his own government passed. Just over a year ago, the government introduced “governance” measures, suggested by Avigdor Lieberman’s Yisrael Beytenu party, which were meant to smooth the process of policy for acting governments. The opposition, lead by Isaac Herzog, was furious in the face of a legislative move that would cripple opposition beyond effect and responded by boycotting the vote. Now, ironically, the laws signed are helping to pave the way to the rise of the Israeli left. Among other things, the “governance law” raised the bar for entry into the parliament from 2% to 3.25% of the vote, an attempt to keep smaller Arab parties out. Foreign Minister Avigdor Lieberman, then head of the 11-seat “Yisrael Beytenu” party, proclaimed</strong>: “We will continue to fight to save Israeli democracy from those who repeatedly bring disgrace to the Israeli Knesset and who take no interest in the future of the state of Israel”. The meaning was clear: four small Arab parties that then held four and three seats could now be kept out of representational politics altogether, a goal in line with Lieberman’s stated aim of keeping Palestinian Israelis from Israeli politics – and in some cases, away from Israel entirely. Another of the law’s measures was a reform of the existing protocol of the no-confidence vote to a constructive no-confidence vote. Instead of simply requiring a majority of the Knesset’s 120 members to vote to disband the government, the opposition must also propose an alternative government at the same time, including naming an alternative prime minister and cabinet, and then win a confidence vote. This would be a tall order in any parliament. By forcing the opposition to work on its own, it stands in the way of the ad hoc coalition-building and cross-party co-operation that some argue are vital to parliamentary democracy, especially in a fractured society such as Israel. The law has enabled Isaac Herzog to stage his first major act as the new chairman of the Labour party and leader of the opposition: promising to “take steps that have not been seen since the establishment of the Knesset” he led a vociferous opposition boycott of the vote on the bill, leaving it to pass unanimously. But while its architects will have been thrilled at its passage, the law may now be their undoing. Most obviously, the raising of the electoral threshold has led to a historic unification of disparate Arab parties. The Joint Arab List, made up of the four small Israeli Arab parties, is expected to draw Palestinian Israelis to the polls in record numbers, and instead of a rag-bag of tiny groups, it will now probably be the third-largest party in the Knesset. The Yisrael Beytenu party, on the other hand, stands dangerously close to the new minimum vote required and may even find itself a victim to its own measure. That could make the joint Arab party kingmaker in a hung parliament. But that would only raise further complications; the party is very wary of fully participating in the institutions of the Israeli democracy, which have not been kind to its constituency (to put it mildly). This much was evident when the joint Arab party decided not to join forces with Zionist-left party Meretz in a vote-swap deal – infuriating its expectant partners, who are keen to see it exercise real political clout. And true to form, the Arab bloc has now declared that it will not join any government. Party spokesperson Raja Zaatary put it bluntly: “We cannot be a part of a government that still occupies our people”. But the joint list can still provide extra-coalition support, and leverage its heft that way. Its expected 13-15 seats could carry considerable weight; if it recommends that the Israeli president appoint Isaac Herzog, the leader of the Zionist Union, as the new prime minister, its informal backing could theoretically enable him to lead a minority government. Minority government is a technical possibility that has never been properly tested in Israel, except in the dying stages of coalition break-up. The problem has always been one of governance, since governing as a minority would be unwieldy at best. But because the governance measure has all but shut down the prospect of coup by no-confidence vote (although the parliament can still vote for its own disbandment) and more so because of the considerable size of the Arab list, such an arrangement now looks more viable than ever. With external support from the Arab list, a minority government would have real checks and balances, and could even potentially launch and support a programme that would achieve historic results, such as striking a peace deal with the Arab world. That would tilt the scales away from the Netanyahu government’s hawkishness. But in Israel, even on the left, you can never count on Arab-Israeli unity – and this may not be the solution either side is looking for. While a minority centre-left government is more plausible then ever, it is still not very likely. A minority government would lend support to Netanyahu’s conspiracy theory in which Israel’s left is artificially propped up by foreign powers. The rise of the centre, meanwhile, is less a lurch to the the left and more a run from the toxic and decadent right. Lieberman’s party is in collapse more because of a series of corruption charges than a distaste for belligerance. Similarly, Netanyahu’s declining support is less to do with his aggressive policies and more the mark of growing disgust at his arrogant persona – and in particular at his extravagant lifestyle, and perhaps also a general sense of despondence resulting from his sombre forecasts and blatant fear-mongering. While the centrist parties take a more dovish line than Netanyahu, they are careful not to turn off rightist voters by openly criticising the occupation of the Palestinian territories and are in no way campaigning to change the status quo. It is perfectly possible to discuss the Israeli elections while avoiding Palestinians completely. However, the assumption of Palestinian absence will not likely be substituted later by the will to accommodate Palestinian claims. This is evident in centrist leaders’ cynicism about settlement with the Palestinians, a sentiment voiced by Herzog himself. So if Herzog is tasked with forming a government, he is likely to push not for a leftist minority government of principle, but for a grand coalition that would baby-step away from the Netanyahu’s international grandstanding and would give a show of unity that would obscure the murky record of his future partners as leading members of Netanyahu’s coalitions. But with mounting international pressure to change course on the occupation, and a serious crisis in the West Bank, any such coalition will be under tremendous pressure to address Palestinian claims as well as Palestinian actions. That in turn could uncover a deep divide over policies regarding the Palestinians – and would bring back the uneasy prospect of a minority government.